If you’ve ever taken a little gander at my recipes, you might notice I don’t have very many baked goods & that’s because I’m not much of a baker. You’d think my love for science would translate to baking being my forte, but no recipe = inedible hot messes. In high school, I baked a lot of cakes using a Better Homes & Gardens cookbook my mom had. I loved that I could easily make an apple, carrot, or miscellaneous fruit cake from scratch & I always had friends over to lick my cake pans clean. I didn’t think it was challenging back then, but now? Trying to create the best chocolate chip cookies from scratch or even some elegant French macarons result in failure. I probably jumped the gun trying to tackle the macarons, but I figured since they’re some of the hardest things to bake; if I can’t cut it with those, I’m probably just bad at baking. On the other hand, cooking comes really natural to me; toss a bunch of complementary ingredients together et voilà, dinner! So, one day I stumbled upon a beautiful recipe for Earl Grey Tea Loaf Cake & I was inspired to use my love for tea in my next baking adventures. While I still haven’t quite perfected the macaron, I have to start with my baking basics: cake. 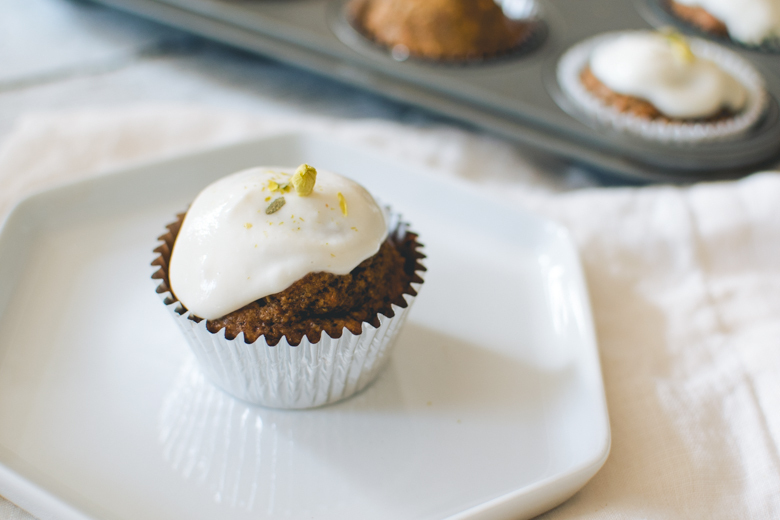 I’ve made a bunch of different breads in the last 3 weeks, but this recipe for my Maté Carrot Cupcakes is one of my favorite things I’ve baked so far. 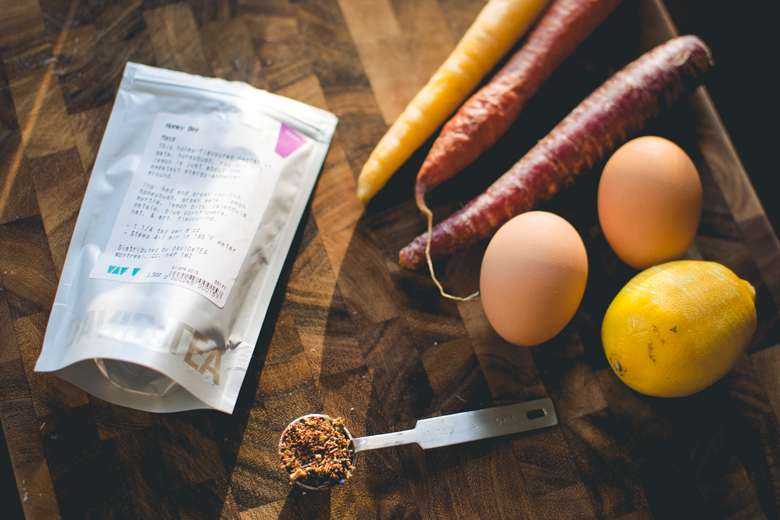 Using my new love for DAVIDsTEA’s Honey Bee maté, I figured it’d be delicious to bake with, but the remaining question was “in what?” Since maté originates in Argentina, should I make an Argentinian inspired cake for the first time or should I make a fancy smancy version of a cake I’ve made before? I went with the latter, because I figured I wasn’t about to infuse maté with 3 different kinds of meat. Still curious about what maté is? Its processing is very similar to Camellia sinensis (aka tea leaves) in that it comes from a maté tree: it’s picked, dried, & ready to consume for that extra boost of energy. It’s a natural stimulant & a cup of it can be just as potent as a cup of coffee, without that caffeine crash. 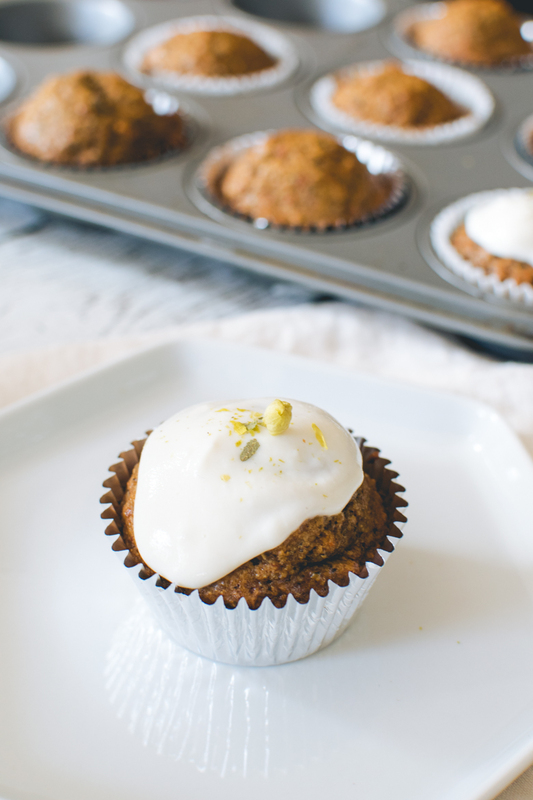 Stick it in some baked goods & you’ve got some energizing cupcakes! So, is this completely South American inspired? Kind of… These cupcakes are in no way a homage to Argentinian cuisine, however maté originated there & is embedded in their culinary cultural roots. 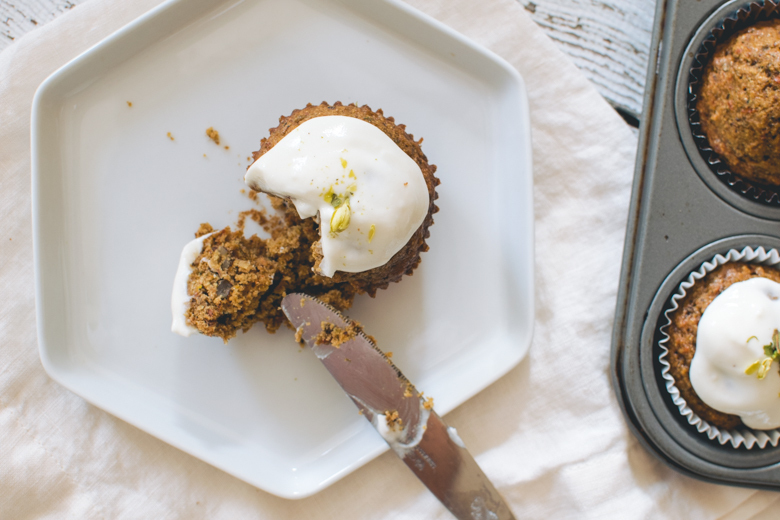 Using maté in my carrot cupcakes doesn’t make them South American by any means, but many of the ingredients that go into the carrot cupcakes overlap with many South American desserts: eggs, flour, sweetener, & vanilla. Let’s not forget that carrots are very prominent in South American cuisine, so while this is a classic American treat, it’s only appropriate I give credit to the inspiration. The Greek Yogurt Frosting is clearly not South American rather, it’s a healthier version of cream cheese frosting. 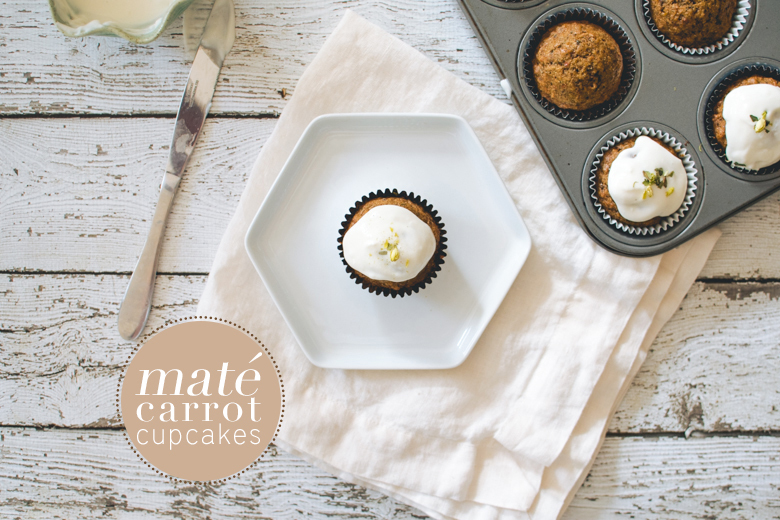 Read more about maté & get my recipe to recreate your own cupcakes. Plus, I’ll have you know my roommate Cassy, her friend, 4 of my neighbors, & 4 of my co-workers all raved about these cupcakes. The view before we entered the restaurant. Large open white space with wooden tables, this restaurant is modern meets rustic indoor garden. Andrea’s absolute favorite Colombian dish is oxtail. Before I stopped eating meat, it was also my favorite, so I was happy to have some during my short vacation in Colombia. We needed vegetables, so we settled on a root. This was famously eaten on Parts Unknown: Colombia with Anthony Bourdain & the owner of the restaurant, Tomás Rueda. It was phenomenal. Andrea is ready to dominate this plate of cow! I don’t remember what this was because I stupidly forgot to take a photo of the menu, but it was also delightful. So delicious. Split between 5 people, this was absolutely worth every penny. We probably spent about $35 each on this meal & it was worth the trip. It’s an absolute must if you’re in Bogotá. Latest Jam » Black Jasmine Pearl as a hot tea – an elegant black tea with sweet notes of jasmine. Haha well do you see any crazy cake recipes on here? Nope! But I’m definitely getting better. Cakes & breads? No problem. Now onto the next challenge: the perfect cookie. Kind of terrible at making cookies, but I’ll get around to it. Did you know that to make the perfect macaron, you have to be able to make a really good meringue? I’ve figured out how to make the peaks from the egg whites, that’s really not a problem. I think it’s my ratio of almond flour to egg whites that really messes me up…& then the temperature at which it goes into the oven & on which rack! The first time I made them, I didn’t have ANY cracks. Then as I read more, so many of them started cracking & I thought, “…so when I learned more about how to science these macarons, they just got worse….” ONE DAY, MACARONS, YOU WILL BE PERFECTED BY MEEEEE. Colombian food is so delicious. I love my food spicy, so I was itching for something spicy the whole time I was there & Colombians don’t mess with chilies the way Mexicans or Peruvians do. Kind of disappointing, but the food was still delicious regardless. Now you’re speaking my language. I love carrot cake. . .and I love tea; however, I’ve never had the pleasure of trying mate. Rest assured I will be adding this exotic tea onto my list of “must tries”. As for these cakes. . .they look divine. I love that you whipped up a healthier yogurt frosting in lieu of cream cheese. We eat yogurt by the truckloads in my house. . .so I am positive these cakes would be a big hit. P.S. 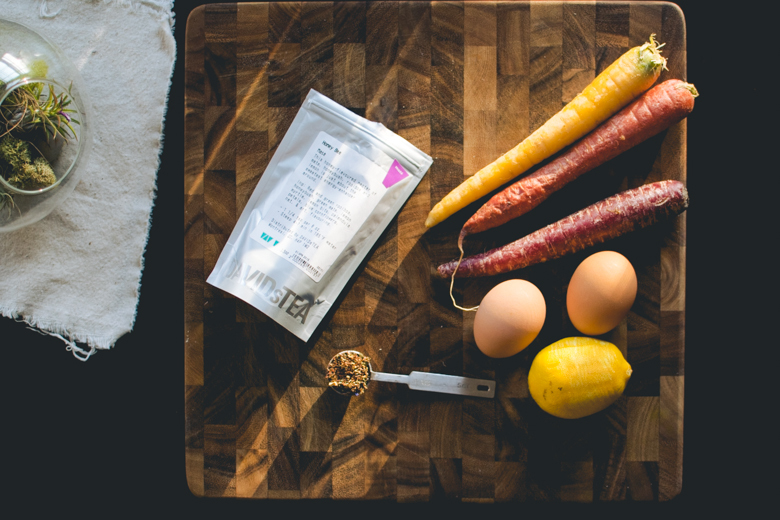 Great photos and that food from tabula looks amazing. 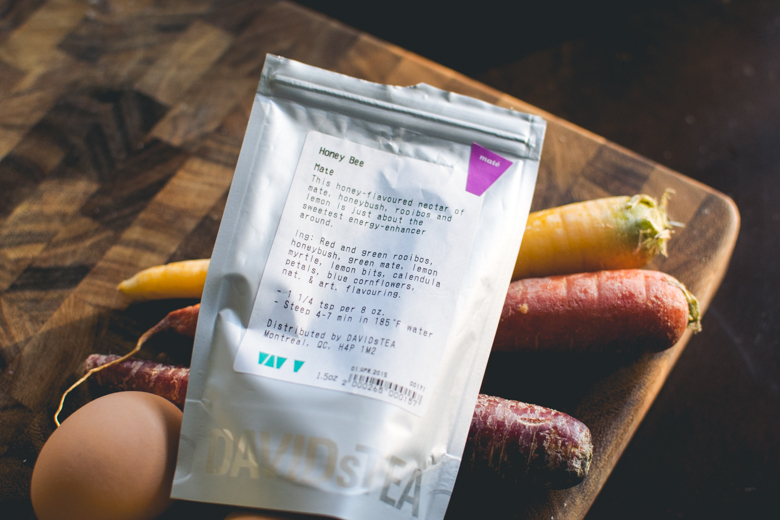 Lynn, if you live in Boston proper, you need to stop by a DavidsTea & get your hands on some of our loose leaf teas…especially that Honey Bee maté!! You won’t regret it. 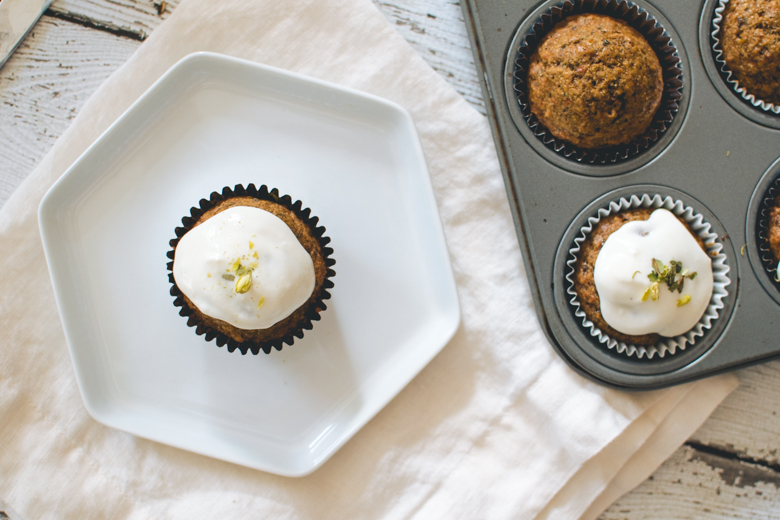 Your wonderful baking skills combined with tasty teas = the best things you’ve ever baked! Do you mean yerba mate? I fell in love with this bitter drink during my stay in South America. Uruguayan people are great mate drinkers, even more than Argentinians, sipping their beloved beverage on the beach and passing around the bombilla (the mate cup). What a cool idea is flavoring the cupcakes with it! I also love the Greek yogurt icing. Yep! Yerba maté is indeed maté, except it’s really not bitter unless it’s over steeped. I like to mix my straight green maté with some of my other teas that don’t have very much caffeine so I can enjoy both the boost of energy & the taste of the other teas I have. 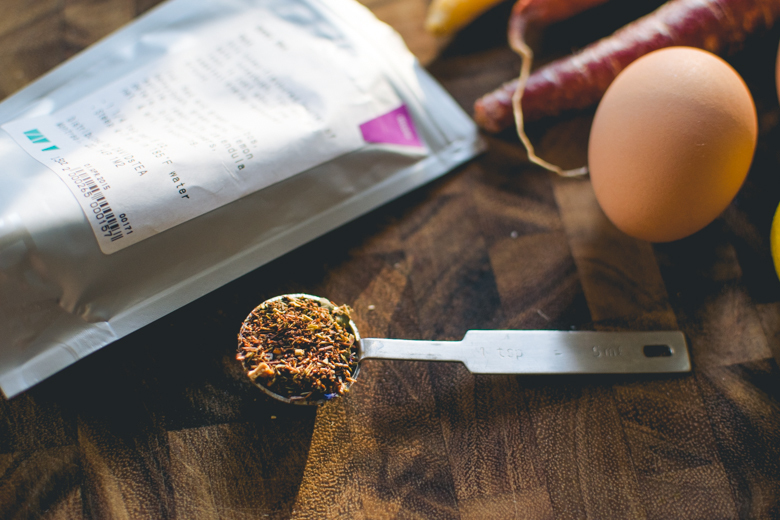 Cooking & baking with tea is … life changing, trust me!! Baking’s challenging because it’s all about measurements. It’s a science more than cooking tends to be. 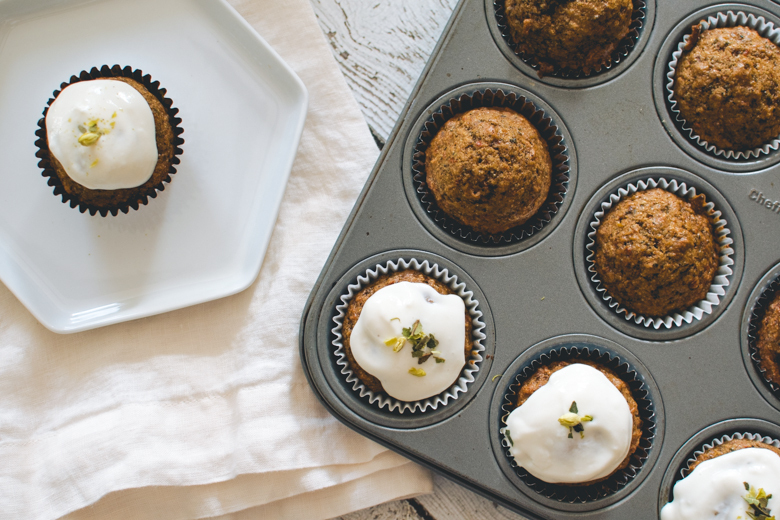 But those carrot cupcakes look absolutely delicious. Greek yogurt instead of cream cheese sounds interesting! That’s my first time hearing about that as an alternative. 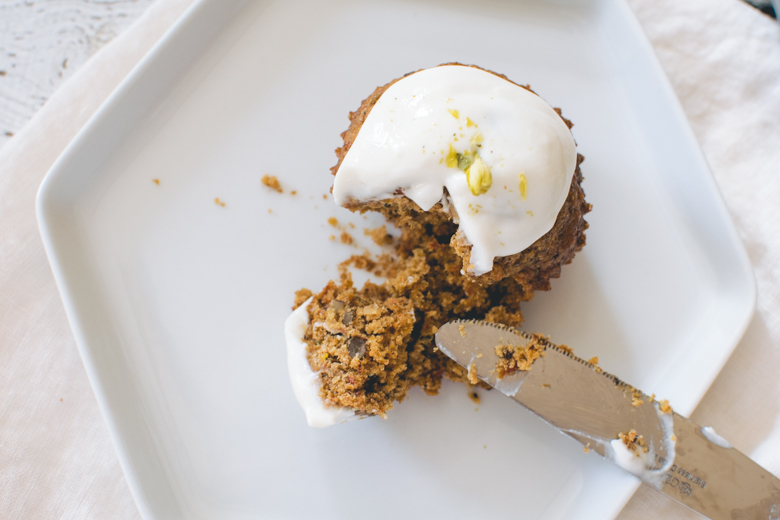 I’m not the biggest fan of frosting to begin with but a good carrot cake recipe definitely needs some kind of icing. Photos look amazing as always! Yep, exactly why my affinity for science & my lackluster baking skills is kind of strange. Cooking is a science too, but baking takes precision more than cooking does. They’re my favorite kind of sciences, mostly because you can eat it. Can’t exactly eat the chemicals you mix together in your organic chemistry lab! I love baking, but I have yet to tackle the macaron. I need to get around to that one day 🙂 Carrot cake is my favorite type of cake though, and it’s also my favorite recipe that I have. Ours differ quite a bit! I use spices like clove, nutmeg, and ginger. I’m interested in trying out yours! Aahh, all of that food looks so good, especially the braised meat shank. That looks like an awesome restaurant! I’m going to tackle the macaron again when I go back home to California. I’m really determined to churn out some good ones that are perfectly chewy yet soft. I swear every time I visit your blog, I’m always blown away! I can’t tell you how many times the aesthetics of your photos are so on point. I feel like I could be that guy on Vine…Zach King(!) where I can reach into my computer screen and magically have your food in my hands to shove into my mouth.